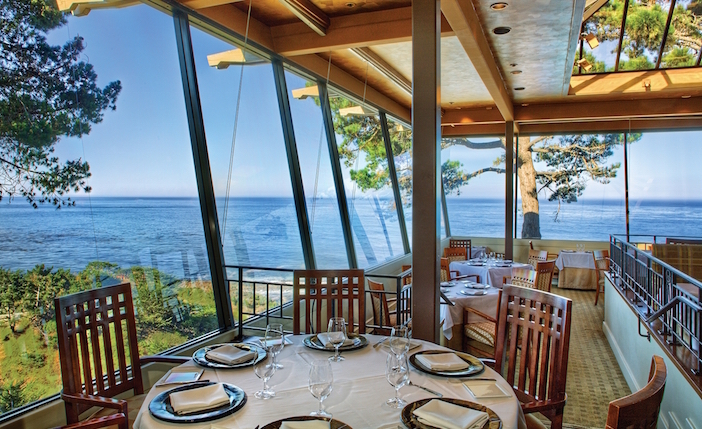 Take in picturesque views at Highlands Inn’s restaurant California Market at Pacific’s Edge. No street addresses, no home mail delivery, no traffic lights, no high heels over 2 inches without special dispensation from City Hall … welcome to charming Carmel, California just north of Big Sur. By Benjamin Epstein, adapted from Performances magazine. Welcome to rustic, romantic Carmel-by-the-Sea, 1 square mile of one-of-a-kind personality and passageways, and more than 100 galleries, in a coastal setting known for its windswept pine and cypress trees. Carmel celebrated its 100th anniversary last year. It’s been 30 years since Clint Eastwood was mayor. As for those high heels, the 1920s ordinance was intended to defend against lawsuits brought by those tripping over irregular pavements; permits are free. This year, the village has been sleepier than usual: Storms buckled a bridge along Highway 1, isolating Big Sur and closing the most picturesque route. That said, Highway 101 through Paso Robles is always far quicker—and there are one-hour nonstop flights from LAX to Monterey Airport, 15 minutes from the village. Carmel is dotted with 42 charming courtyards and hidden passageways, no two alike. 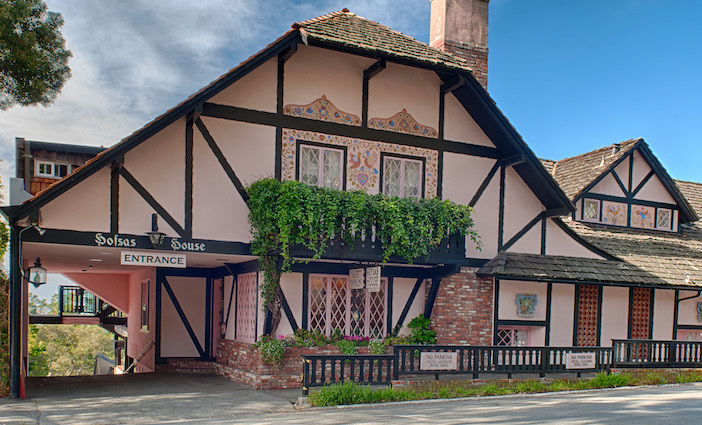 Some date to the 1920s, when architect Hugh Comstock’s storybook cottages were built. Many are lined with shops, galleries and restaurants. On or near Ocean Avenue are Comstock’s fairy-tale-style Tuck Box building and designer boutiques at Carmel Plaza; a dozen wine-tasting rooms; and white-sand, extremely dog-friendly Carmel Beach. To the south are the Basilica at Carmel Mission, founded in 1770, and the hiking and vistas of Point Lobos State Reserve. Near Point Lobos, Hyatt Carmel Highlands, aka Highlands Inn, is marking its centennial; many of its 48 rooms ($559 and up) feature eyrie’s-eye ocean views. 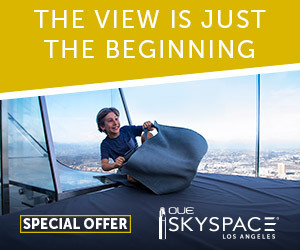 The inn’s cliffside restaurant is called California Market at Pacific’s Edge by day, offering Dungeness crab benedict and often views of migrating whales, and Pacific’s Edge by night—consider octopus with black-garlic emulsion. Near Carmel Mission, Eastwood’s Mission Ranch offers 31 rooms ($135-$340), some in an 1850s farmhouse, and tennis courts. The jazz pianist in the bar and bucolic views of grazing sheep beyond the patio can bring tears to your eyes; slow-roasted prime rib ($36) stars on the plate. Pup lovers can bring their pets to stay at Hofsas House in Carmel. Nearby Vendange Carmel Inn & Suites has 20 rooms ($142 and up), 15 themed to wineries. Leaving town also has its rewards. The celebrated 17-Mile Drive takes you through majestic forest, dramatic coast and golf courses such as Pebble Beach Golf Links. At the drive’s far end, consider firecracker shrimp at the Beach House at Lovers Point in Pacific Grove. Ramping up for its own centennial and golf’s U.S. Open in 2019, the Lodge at Pebble Beach unveils Fairway One at The Lodge—38 guest rooms (starting at $915) and two four-bedroom cottages ($6,460). Nine miles inland from downtown, the 57 rooms ($515 and up) at glam Bernardus Lodge & Spa put you in the heart of wine country. Verdant Carmel Valley is home to about 30 tasting rooms including Holman Ranch, Folktale and Joullian as well as Bernardus. Get your bearings at historic, quirky Will’s Fargo Restaurant + Bar; Patricia Qualls Contemporary Art gallery is just opposite. Back in town, new Cultura Comida y Bebida offers Oaxacan-Mexican fine dining—e.g., squash-blossom quesadilla and relleno-style Monterey red abalone—amid casually elegant decor.